Video and photographs by John Brassil. 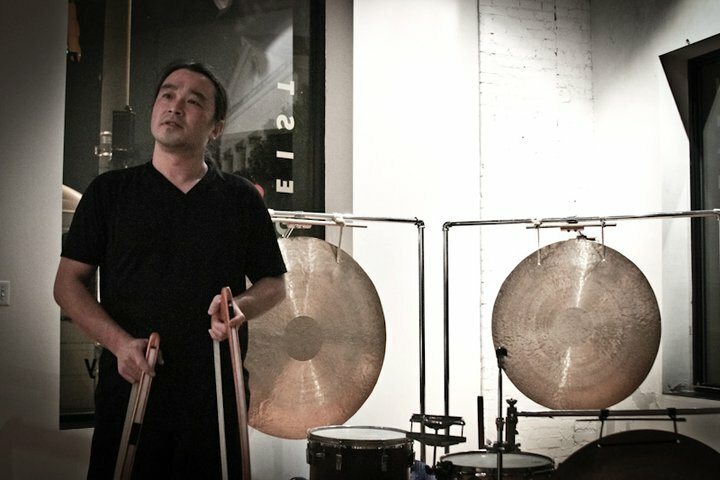 Tatsuya Nakatani mesmerised the audience at Zeitgeist Gallery on Saturday, December 4th with his visceral experimental percussion. For podcast 43, we bring you his entire set from that evening and also the Theatre Intangible live improv that followed: Pulse. Pulse features Tatsuya and the other bands on the lineup that night: Bluff Duo (Brady Sharp and David Maddox) and LYLAS (Kelli Shay Hix, Kyle Hamlett, Ben Marcantel, and Amy Blackburn Simon, also of Forrest Bride). Both sets are amazing! You can hear Brady Sharp perform on these two fine Theatre Intangible episodes. Kelli Shay Hix and Kyle Hamlett recently appeared on the improv Stone & Stream. Look for a Dave Maddox episode to come soon. I also recorded the Bluff Duo and LYLAS sets from the Zeitgest evening. I’ll post those soon as well. 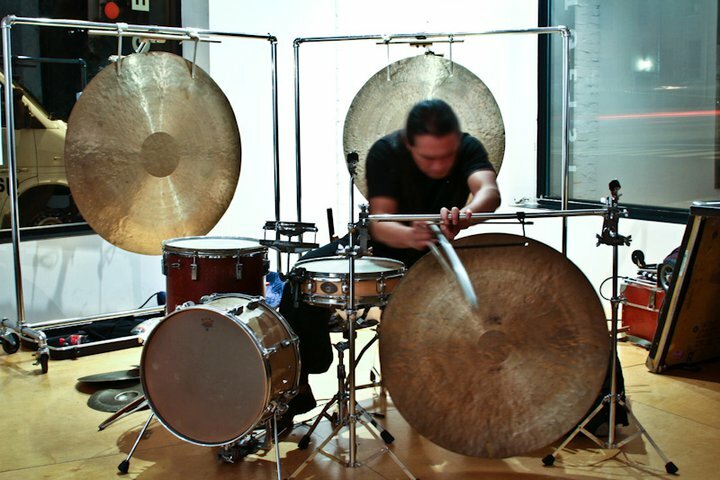 Japanese-born experimental percussionist Tatsuya Nakatani connects with his instruments in a way like I’ve never before seen. 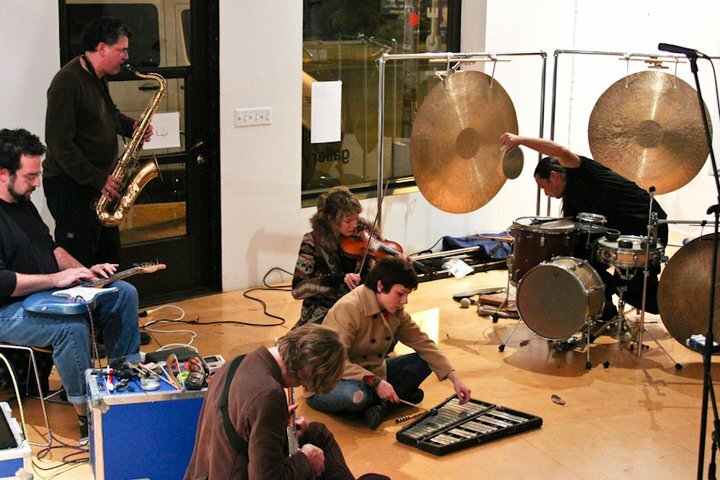 He extracts every ounce of musicality out of his gongs, singing bowls, bells, cymbals, drums, handmade bows, and other devices. His performances are an extremely visceral affair. You really get the sense that his instruments are extensions of him. Seeing him live is a cathartic and almost spiritual experience. At the improv’s end, Tatsuya announced that he expected the improv to be “here,” putting his hand near his chest, but that it turned out to be “here,” putting his hand high above his head. I for one agree. If you like our show, share it with a friend or write us a review in iTunes.